Social investments package: investing in people | SAMARITAN INTERNATIONAL e.V. Social investment is about investing in people. It means policies designed to strengthen people’s skills and capacities and support them to participate fully in employment and social life. 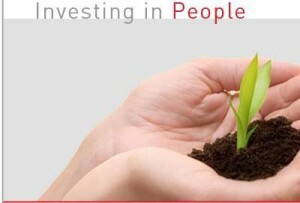 In February 2013, the European Commission published the Social Investment Package (SIP) that supports a shift in policy focus and proposes budgets to invest in people and social cohesion and urges the EU countries to give priority to the investment in the social sector and to modernize the national welfare systems, to encourage a growth and cohesion for the Europe Union and to contribute to the achievement the objectives of the Europe 2020 strategy. In line with the European commission, SAM.I considers that social investments are important for emerging from the crisis stronger and more competitive and, in accord with SOLIDAR, welcomes the Commission’s commitment to work on the implementation of the Social Investment Package and calls for better cooperation with all stakeholders as well as for a more coherent strategy to address poverty and inequalities.